Tsadra Foundation launched an award to honor excellence in the field of translating Tibetan texts into English in 2014. In order to make the award meaningful to the whole community of translators, a committee of twelve respected translators, scholars, and editors formed to review publications and choose the award winners. After an exhaustive search of translations from Tibetan to English published between 2012 and 2015, an international committee of scholars and translators voted and reduced that large number to a “shortlist,” from which twelve finalists were chosen for detailed review (see list below). Each book was then read and reviewed by the twelve-person committee and rated on values such as quality of word choice, overall flow of text, translation accuracy, perceived importance of the contribution to the field, and eight other measures. The award was first presented at the 2017 Translation & Transmission Conference to first ($5,000), second ($2,500), and third place ($2,500) winners. The next award will be presented in 2020. The inaugural award presentation of the Shantarakshita Award was presented by Eric Colombel and Marcus Perman of Tsadra Foundation and received by Gavin Kilty (1st) for A Lamp to Illuminate the Five Stages (Library of Tibetan Classics, Wisdom Publications, 2013), Wulstan Fletcher and Helena Blankleder (2nd) for Treasury of Precious Qualities: Book Two (Shambhala Publications, 2013), and Bryan Cuevas (3rd) for The All-Pervading Melodious Drumbeat (Penguin Random House, 2015). As the first place winner of the inaugural award, Gavin Kilty addressed the assembly with heartfelt words of thanks to his teachers, employers and editors (Thupten Jinpa and David Kittelstrom) and shared a bit about his love of translation and of the great masters who influenced him. 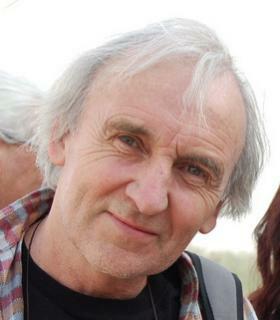 Gavin Kilty has been a full-time translator for the Institute of Tibetan Classics since 2001. Before that he lived in Dharamsala, India, for fourteen years, where he spent eight years training in the traditional Geluk monastic curriculum through the medium of class and debate at the Institute of Buddhist Dialectics. 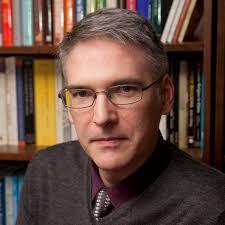 He also teaches Tibetan language courses in India, Nepal, and elsewhere, and is a translation reviewer for the organization 84000, Translating the Words of the Buddha. His other books include: The Splendor of an Autumn Moon (2001), Ornament of Stainless Light: An Exposition of the Kālacakra Tantra (2001), Mirror of Beryl (2010). Helena took a degree in modern languages and Wulstan studied modern languages and theology in Oxford and Rome. He completed a three year meditation retreat in Chanteloube, France 1986-1989 and Helena completed two three-year retreats, 1980-85 and 1986-1989. They have been Tsadra Fellows since 2001. Wulstan and Helena work as a team and have completed many Tibetan-English translation projects, including Treasury of Precious Qualities (Book 1 2010; Book 2, 2013), The Root Stanzas of the Middle Way (2008), The Way of the Bodhisattva (revised 2006), The Nectar of Manjushri’s Speech (2007), White Lotus (2007), Introduction to the Middle Way (2005), The Adornment of the Middle Way (2005), Food of Bodhisattvas: Buddhist Teachings on Abstaining from Meat (2004), and Counsels from My Heart (2003). Wulstan and Helena are currently working on Longchenpa’s sems nyid ngal gso and Mipham’s brgal lan nyin byed snang ba. Bryan Cuevas is John F. Priest Professor of Religion and Director of Buddhist and Tibetan Studies at Florida State University. He holds an M.A. and Ph.D. in Tibetan Buddhist Studies from the University of Virginia and over the years has taught as a visiting professor at UC Berkeley, Princeton, and Emory University. He is the recipient of both an NEH Fellowship for University Teachers and a John Simon Guggenheim Memorial Foundation fellowship. Most recently, his translation of The All-Pervading Melodious Drumbeat: The Life of Ra Lotsawa (Penguin Random House, 2015) with an introduction and notes was published in the Penguin Classics series. Other books include Travels in the Netherworld: Buddhist Popular Narratives of Death (Oxford, 2008) and the Afterlife in Tibet and The Hidden History of the Tibetan Book of the Dead (Oxford, 2003). His primary interests are in Tibetan history, biography, and Buddhist narrative literature. A Lamp to Illuminate the Five Stages (rGyud kyi rgyal po dpal gsang ba ‘dus pa’i man ngag rim pa lnga rab tu gsal ba’i sgron me) by Tsongkhapa. Translated by Gavin Kilty. Wisdom Publications, 2013. Düdjom Lingpa’s Visions of the Great Perfection (Ka dag rdzogs pa chen po’i klong mdzod zab mo) by Düdjom Lingpa and Sera Khandro. Translated by Alan Wallace. Wisdom Publications, 2015. Foundations of Buddhist Study and Practice (Shes bya mtha’ yas pa’i rgya mtsho, Shes bya kun khyab mdzod) by Jamgön Kongtrul. Translated by Richard Barron (Chokyi Nyima). Shambhala Publications, Snow Lion Publications, 2012. Great Treatise on the Stages of Mantra (sNgags rim chen mo). Tsongkhapa. Translated by Tom Yarnall. American Institute of Buddhist Studies, 2013. Golden Garland of Eloquence, Vol. 4 (Legs bshad gser phreng). Tsongkhapa. Translated by Gareth Sparham, Jain Publishing Company, 2013. Perfect Clarity: A Tibetan Buddhist Anthology of Mahamudra and Dzogchen. Various texts by Padmasambhava, Yeshe Tsogyel, Longchenpa, Milarepa, Tulku Urgyen, Jamyang Khyentse Wangpo, Düdjom Rinpoche, Gampopa, Rangjung Dorje, Shabkar Tsokdruk Rangdröl, Padma Karpo, Mipham Gyatso, Nyoshul Khenpo, Chogyur Lingpa, Shechen Gyeltsap Gyurme Padma Namgyel, Khenpo Gangshar, Jamgön Kongtrul, Tsele Natsok Rangdröl, and Padma Lendreltsel. Translated by Erik Pema Kunsang. Rangjung Yeshe Publications, 2012. Stages of the Buddha’s Teachings (Be’u bum sngon po; Dam chos yid bshin gyi nor bu thar pa rin po che’i rgyan; Thub pa’i dgongs pa rab tu gsal ba) by Dolpopa Sherab Gyamtso, Gampopa, and Sakya Paṇḍita. Translated by Ulrike Roesler, Ken Holmes, and David Jackson. Wisdom Publications, 2015. The All-Pervading Melodious Drumbeat (mThu stobs dbang phyug rje btsun rwa lo tsA ba’i rnam par thar pa kun khyab stan pa’i rnga sgra) by Ra Yeshe Senge. Translated by Bryan Cuevas. Random House, 2015. The Buddha’s Doctrine and the Nine Vehicles (Chos ‘byung grub mtha’ chen po grub mtha’ so so’i bzhed tshul gzung gsal bar ston pa chos ‘byung grub mtha’ chen po, Chos ‘byung grub mtha’ chen mo bstan pa’i sgron me) by Rok Bende Sherap Ö. Translated by José Cabezón. Oxford University Press, 2013. The Marvelous Primordial State: The Mejung Tantra, A Fundamental Scripture of Dzogchen Semde (rDzogs pa chen po byang chub kyi sems rmad du byung ba). Translated by Elio Guarisco, Adriano Clemente and Jim Valby. Shang Shung Publications, 2014. Treasury of Precious Qualities: Book Two (Yon tan rin po che’i mdzod dga’ ba’i char; Yon tan mdzod kyi mchan ‘grel) by Jigme Lingpa and Longchen Yeshe Dorje. Translated by Padmakara Translation Group. Shambhala Publications, 2013. When the Clouds Part: The Uttaratantra and its Meditative Tradition as a Bridge between Sūtra and Tantra. Various texts by Maitreya, Asanga, Sajjana, Vairocanarakṣita, Tashi Özer, Kyotön Mönlam Tsültrim, Mikyö Dorje, and Jamgön Kongtrul. Translated by Karl Brunnhölzl. Shambhala Publications, 2015.